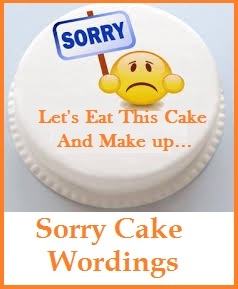 Sample Sorry Message 4 You is a one stop destination for sincere sorry wordings. 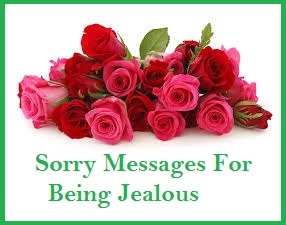 In our collection of sample sorry messages for husband, wife, girlfriend, boyfriend, friends and boss you will surly find the heartfelt sorry wordings for all your near and dear ones.Sincere words of apologies can make many amends.Hope our collection of sample sorry messages and wordings will help you a great deal. You did something wrong and you have to say “I’m sorry” to your boyfriend. Try sending your sorry message in the most romantic way possible. Men may look tough but they also have a soft side. Know where you can hit the right spot in his heart and probably he might just forgive you. Take a chance now. 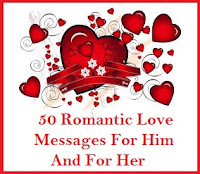 Here is an excellent collection of romantic sorry messages for him you can use. Read on to find the heartfelt and most romantic sorry messages for him. 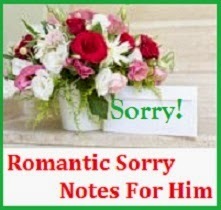 We are sure that you will find the perfect sorry note for him right here. I feel the distance is growing between us. It is all my fault, I know. I am sorry for what I have done. The pain of losing you will be too hard to endure. I ask forgiveness and hopefully we can be happy again. I was selfish and I was wrong. You did not deserve my anger and now we are suffering because of what I have done. I am sorry. I will wait for your forgiveness even if it takes forever. I love you. My mornings and nights are never the same since you’ve been gone. I cry myself to sleep from thinking about our moments together. I am so sorry this happened to us. I pray each day that we can be together again. We embrace and argue. It’s a cycle we face. I love you for being a strong man of principle and I am sorry that I sometimes try to match your strong personality. Strong minds think alike, that’s one thing I love about our relationship. I want to hold on to you as long as I my heart continues to beat. I long to see your face each passing day, but these passing months you have shown how you wanted to be free again. I am sorry but I am letting you go. It doesn’t mean I love you less. I am late again. I am sorry. You had to wait so long for me to prepare. It is a special night and I would like to be proud of me. I want to be that woman by your side who will grace and support your every event, my love. I am sorry if I think of you too much. Thoughts of you occupy my mind all day. I am spellbound. I think I need help. Can you come over make me drink your magic potion of love? The words I said out of anger have crushed your heart. I realized too late that I made a big mistake. The sadness in your eyes pierced my soul and I am terribly sorry. I love you and I don’t ever want to hurt you again. Please forgive me. I am sorry, my baby, if I sometimes seem uncaring these days. Each day, I long to read your messages and see your face. For now I have to control myself from seeing you until my thesis is over. When I’m done with this ordeal, be ready. You have always been my tower of strength. I am sorry if I have become so dependent on you. If I am a burden, please say so. I can never live without you, my love. The silence is killing me. I do not know what I have done to you that caused you to stay away from me these past few days. Whatever it is, I am sorry. I never meant to hurt you in any way. If I did something wrong, please forgive me. I need you and I don’t want to lose you. I hope we can talk soon, my love. The look on your face when enjoying your meal is priceless. Your luscious lips move in gusto and I am mesmerized. I am sorry if I do not know how to cook, but I am trying. Someday, I hope to satisfy all your cravings, including the food. My heart only beats for you. I am sorry if I don’t show it as much as other girls do. If I am not as showy as others, I will make it up in some other way. I am such a cry baby. I am sorry for embarrassing you. You are the sweetest person I have ever met. No one has shown love the way you do. I love you. Perfection is far, but I am trying hard to win you back. I am asking for your forgiveness my dear. Will you give me another chance? If it takes forever I will wait until the day you accept my apology. My dear, I am so sorry. I love you and I realize my mistake. I really want to make it up to you. I’m really sorry, all I want to do is to be the perfect girl for you. I love you! I’m sorry honey, trust me this blunder will never be repeated! I love you with all my heart. I cannot imagine my life without your love and support. Please forgive me. I know I have hurt you so bad but I’m right here asking for your forgiveness. I want you to know how sorry I’ am. You’re the most wonderful person I have ever met and I’m really sorry for hurting you. I love you! I’m sorry my dear. Can you forgive me? Let’s give our love one more chance. Please, I’m really sorry! I love you and that’s all I know right now. I cannot sleep well knowing that we are not fine. This message is to ask for an apology about the last time we were together. It was a silly fight and I want to make it all up to you. I know that night was terrible but I want you to know how sorry I’ am right now. I have realized my mistakes and what I feel right now is pure love; nothing but love. I really miss you now. I hope I can see you tonight. I love you and I’m sorry. I am asking for your forgiveness so that we can be together again and be happy. I love you and I am sorry for hurting you. I hope you can forgive me. 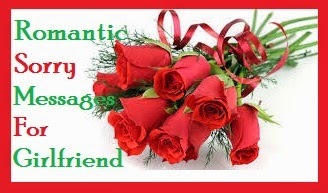 I am sending this message with full of love specially for you _ To the man of my life. This is to apologize. I didn’t want to break your heart. I love you my dear and I promise to be more sensible. I don’t want to lose you. I’m sorry. I’m sorry my dear and I really miss you now. Please forgive me and let’s give our love one more chance. Honestly, my life is incomplete without your love. I’m sorry for that fight and misunderstanding. I promise to be true to your forever. I will love you the way you want me to. I love you! Give A Perfect Gift - Every Time! Looking For Thank You Messages? 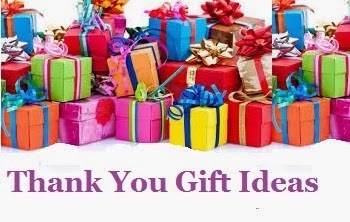 ThankYouMessagesForYou offers you an excellent collection of thank you messages and thank you notes for all your loved ones. You will find the perfect thank you messages for all ocasions.